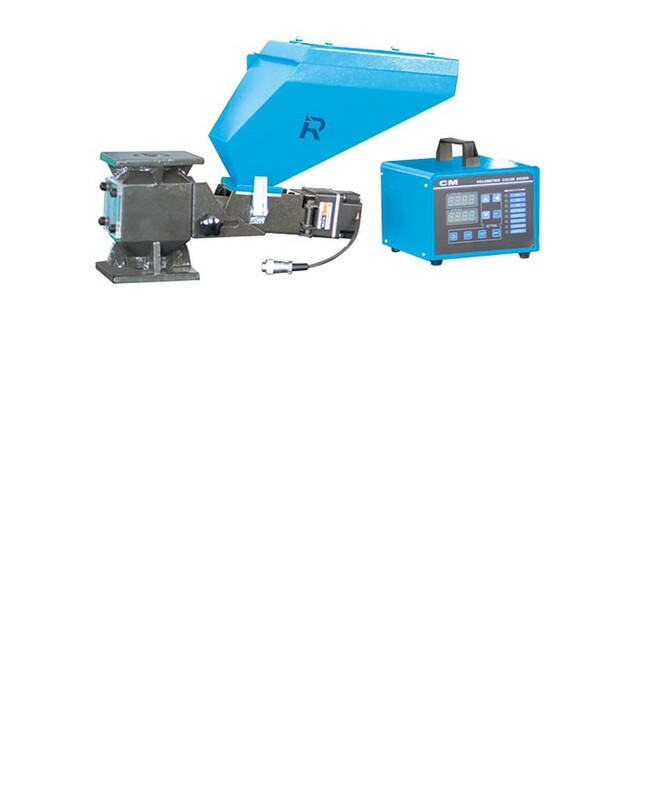 CM series volumetric dosers are suitable for auto-proportional mixing of new materilas,regrinds,master batch and additives.A brushless DC motor is used in this series.According to the set mixing proportion,the micropressors accurately controls rotation of the high precise dosing screw to squeeze out materials with an accuracy of +-1%.A gear motor with decelearation ratio of 30:1 or 50:1 is coupled to a dosing screw of 12/16/20 or 25mm diamter to give a total of six models with ouput ranging from 0.1 to 100kg/hr.Doulbe color dosers can be supplied to match with two signle color dosers if required by clients. Microprocessor control,intelligent and accurate in calcuation. External singals can be directly interfaced with control box. 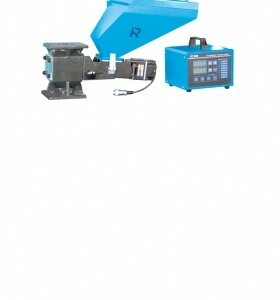 Unit is comprosied of standard modules for ease of cleaning,disassembly and interchangeability. 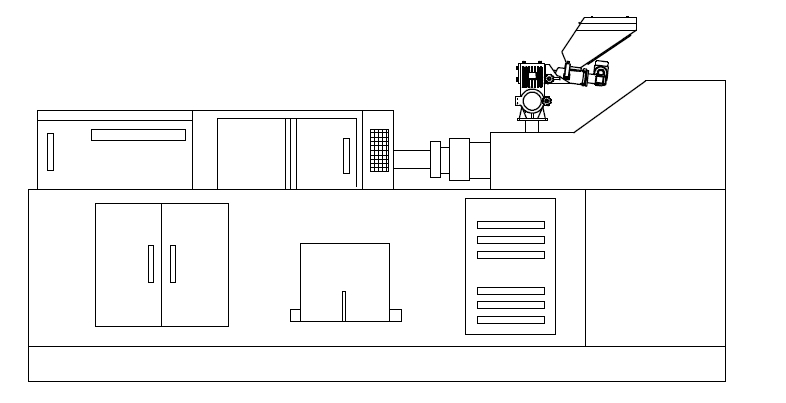 Blender is a standard accessory for double color doser to make the material evenly mixed,while also a optional accessory for single color dozer to do so. 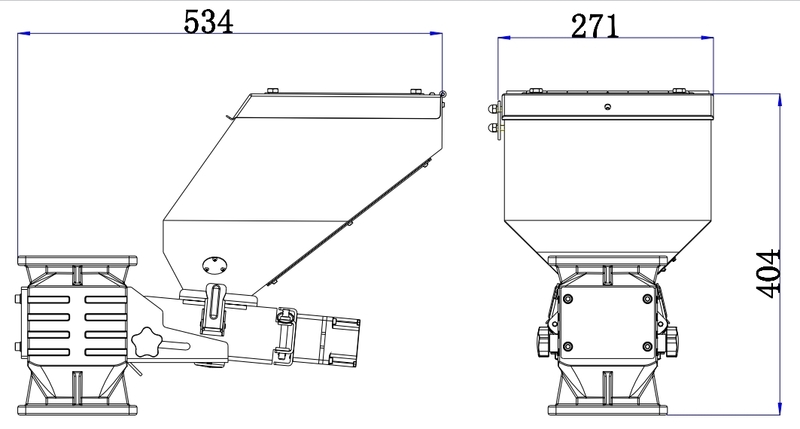 Main material hopper is a standard accessory for double color doser.It is optional for single color doser. 2) ★★ stands for external dia. Of screw is up to model selected. 3) For additionally mount mixer on single color doser,add “MS” at model behind. 4) Change into European standard,America standard,Canada standard,add”CE”,”UL”,”CSA” at model behind. 5) All output capacities from above models are based on data from density 1.2,Dia 2-3mm masterbatch in a test criteria of continuous running. 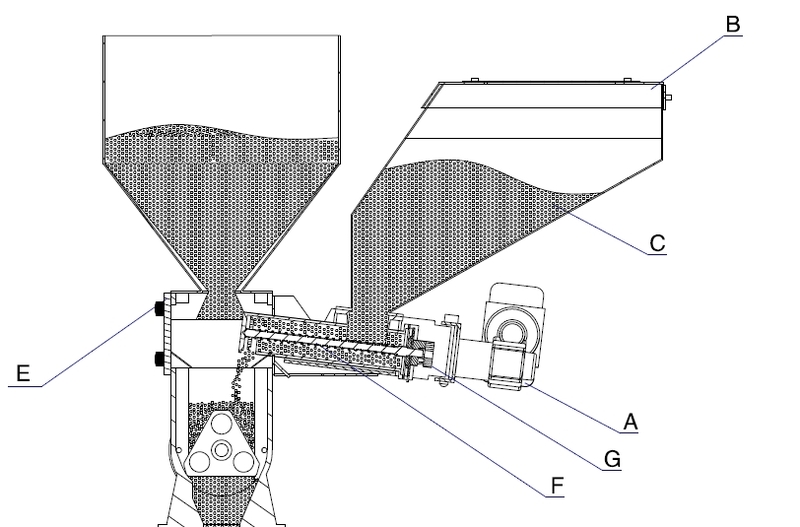 Signals from control cabinet will be sent to motor(A).Then it begins to work.The rotary force is transferred to the dosing screw(F) through shaft connector(G).Color additives(C) in hopper(B) will fall into the groove of conveying screw(F),then be taken to hopper base(E) by rotating action of the screw(F).